There will inevitably come a time when you will want to retire from your own business. Perhaps you have always dreamed of taking early retirement and have planned accordingly. After working hard to build up your boarding cattery business it would be nice if the proceeds from the business supplied you with a comfortable retirement. 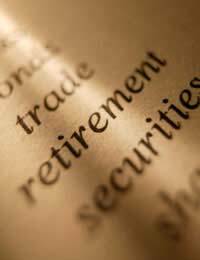 As with all things, to have a successful retirement you will need sufficient funds. Your State pension will provide you with an income when the time comes and you should make sure you pay your National Insurance Contributions in full to get the maximum amount. If you plan to retire early you will need to make plans well in advance. You should take out a pension plan as soon as you are able. Many pension plans have given very bad returns recently and it will be up to you to do all the necessary research to find the best plan for you. There are high interest accounts that you can invest in and they should be thoroughly researched. Perhaps you want to sell the business, when you have worked long and hard to build up your business you will of course have the proceeds of the sale to invest. You will need somewhere to live as your property will be sold as part of the business. The purchase of a new property could take a substantial amount of your capital so you will need to plan carefully and invest whatever you can to provide you with an income. If you are in the fortunate position of having a second property that you can move into you could retire from your cattery boarding business but still retain overall control and have an income. You could rent out the business and the accommodation. This would provide you with an income, plus you would still have the business. If you found yourself in need of capital your business would be a real asset to borrow against. A cattery boarding business can be looked after by any age of person. The physical demands are low but the tie is enormous. Many cattery owners seem to retire because they find the tie of being on the premises 24/7 just too much. They do it for a few years then need some freedom. With planning and help from staff and maybe family, it is possible to continue to run a boarding cattery well beyond normal retirement age. Many older people do not need or want as much freedom as younger folk and are quite contented to stay at home most of the time and look after the cats. Retirement planning needs to be taken seriously, as even with the best of intentions to continue working into old age, health or a drastic change in circumstances could force you into retirement. If you are able to plan ahead and follow your plans through, you should be able to retire at the age and time that suits you. You can then take a well earned rest and do all the things that owning a boarding cattery prevented you from doing.